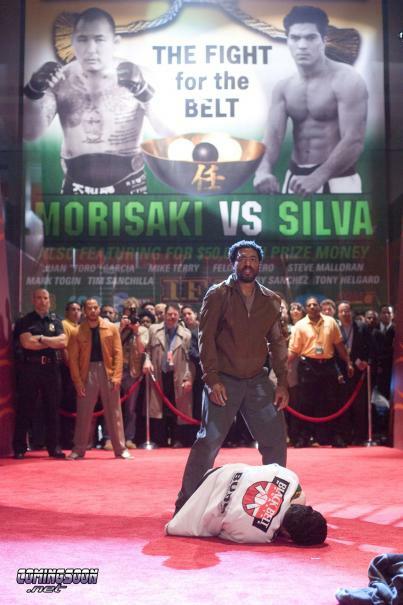 Set in the west-side Los Angeles fight world, a world inhabited by bouncers, cage-fighters, cops, and special forces types, "Redbelt" is the story of Mike Terry (Chewitel Ejiofor), a Jiu-jitsu master who has avoided the prize fighting circuit, choosing to instead pursue an honorable life by operating a self defense studio with a samaurai's code. Terry and his wife Sondra (Alice Braga) struggle to keep the business running to make ends meet. An accident on a dark, rainy night at the Academy between an off duty officer (Max Martini) and a distraught lawyer (Emily Mortimer) puts in motion a series of events that will change Terry's life dramatically introducing him to a world of promoters (Ricky Jay, Joe Mantegna) and movie stars (Tim Allen). 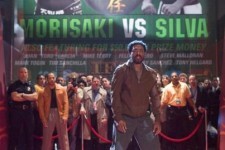 Faced with this, in order to pay off his debts and regain his honor, Terry must step into the ring for the first time in his life. 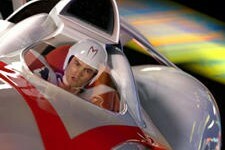 Shellhead Soars Over Speed Racer & Vegas !